Also, the highest donation by Midnight, Sunday the 29th, wins the original inked lineart! It's on 9x12" medium weight art paper, India ink over pencil, signed, dated and fixed. and Kasi as the Black Widow from Iron Man II. in the dark old haunted mansion. In shorts and T-shirts. Sandy and Swampy went to a costume party where Sandy took second place. 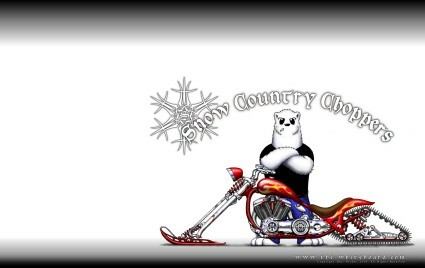 Doc joins the custom chopper world with the coolest hogs on the snow! Just pick the screen resolution you want and click the Donate! button. And thanks for reading TWB! 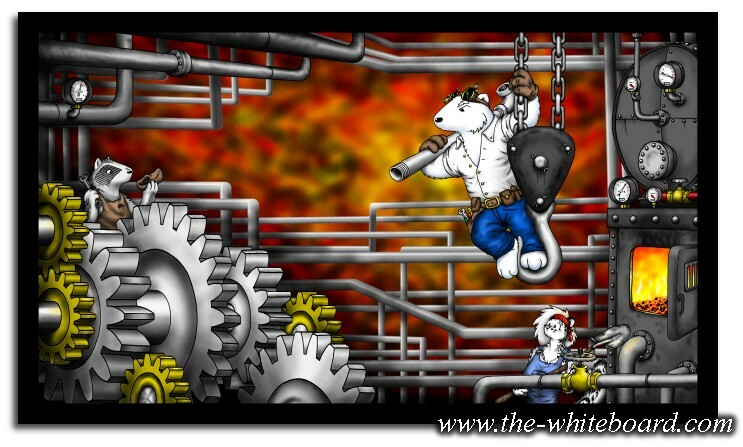 All images, text, graphics and characters are Copyright 2002 - 2011, Doc's Machine & Airsmith Services. All rights reserved. Unauthorized use, duplication, off-site posting or publication strictly prohibited.